I took a long break from blogging. I was not intending to be away so long, but rearranging my stamp room led to finding a roof leak which led to roof and siding repairs. Now that some order is returning to my stamp room my mojo is back. 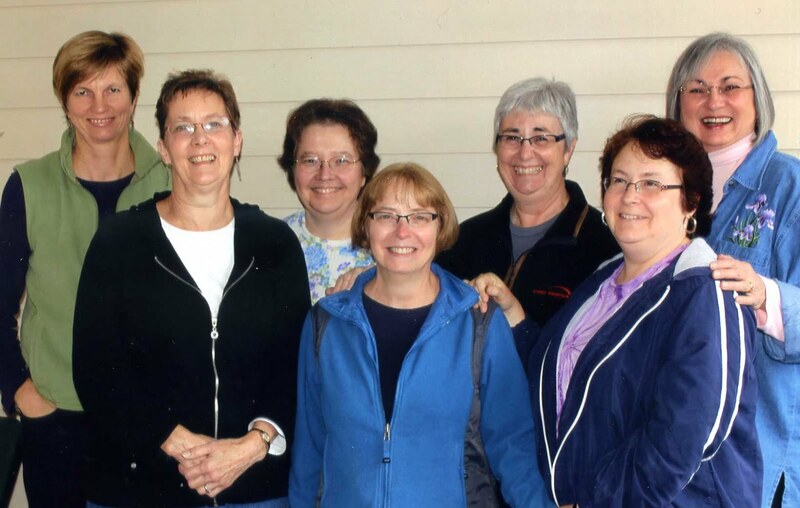 It just is providential that my friend Susanne had wonderful news to share with the Cardologists this month. She was asked to be a guest designer for a new card challenge and so of course I had to check it out the Twofer Card Challenge and enter this month. Twofer was a phrase coined by Darnell which means two cards posted on the same day. Now she has turned it into a challenge which runs from the 1st of the month until the 24th. I hope that you will check out the challenge as well as both Darnell's and Susanne's blogs. My first card is the sympathy card on the right. It was inspired by a memorial that was posted in our local paper: A feather, a robin, a butterfly too, are all signs your ANGELS are standing with you - Mary Jac. The second card, uses the same feather stamps with coordinating dies from Stampin Up as well as the same color scheme in a birthday card. I hope to be back soon. Til then, I hope you are safe and warm. Yay, you did it! So thrilled that you made some feather cards, blogged again AND entered the Twofer Challenge! 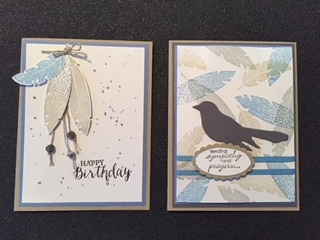 Absolutely love the trio with the twine, beads, and splatters on the first card and the feather background of the sympathy card! Beautiful color combo, too! 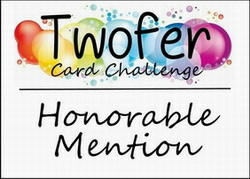 Thank you so much for joining us in the very first Twofer Card Challenge! Wow!! Beautiful designs with the feather stamp, Dora!! LOVE the beautiful sympathy card with the multi-coloured feather background. Perfect with you silhouette bird. Your birthday card is so pretty with the grouping of feathers and splattered background. Looks like you've added beads as well, which adds a unique dimension to the card. Thanks so much for playing along with us at Twofer Card Challenge! Your cards are absolutely beautiful!! Love them both and also the feather background you created! Hi, Dora! Gosh, I haven't talked to you in ages! I'm so sorry you had to deal with roof and siding repairs, but glad it is all fixed now and your mojo is back! I'm super delighted that Susanne agreed to be on my Design Team - lucky me!! !